Three Cats Thursday: Phantom is a Bad Cat... Help! Happy Three Cats Thursday, Cuteheads! Today Phantom is taking over, as he does every single friggin' day in our house. I have a question, and I'm hoping you all can offer some suggestions. Phantom is bad. Adorable and cuddly and loving... but bad. 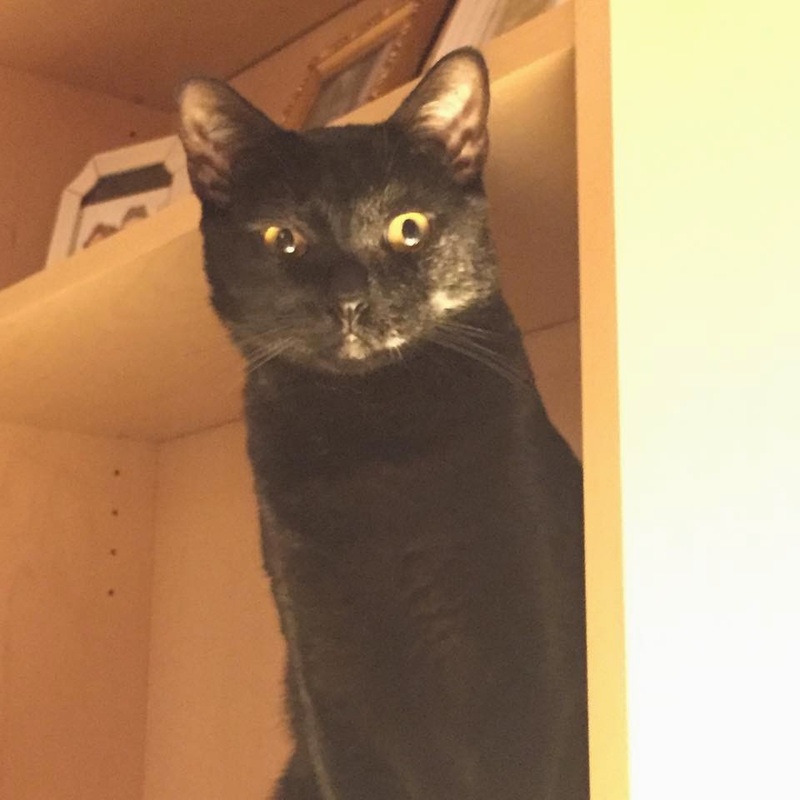 He knocks anything off any surface -- while looking right at me. He tries to move anything that isn't glued down, just to get my attention. He even moves paintings on the wall! And when I look at him or tell him no, he makes the cutest meow and then runs over to his toy box, like I'm going to play with him. It's cute that he does that, but so honestly maddening that he does it all day, every day. He never gets tired! I can't seem to get anything done at the computer without saying "No!" 10 times a minute. I have tried reverse pychoolgy and ignoring him. I have tried being nice and calling him over from whatever bad he is doing and loving on him, so he gets the idea that "stop!" is good, I have tried to play with him to wear him out (that lasts about 10 minutes and he's back at it), I have tried blasters (look up SCCCAT from PetSafe - great concept, but I need about 100 of them!)... and I have no idea what else to try! Oh my goodness, Cuteheads. I am SO excited! I just started a new business just for cat ladies! Because you can never have enough cat stuff, right?! 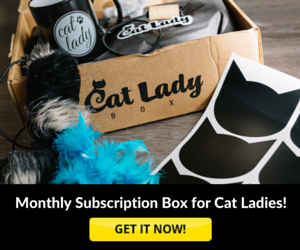 Introducing CatLadyBox, the first-ever monthly subscription box for people who love cats! You may have heard of some of the other subscription boxes out there that have things for your cats or your dogs, but there has never been anything for us humans... until now! 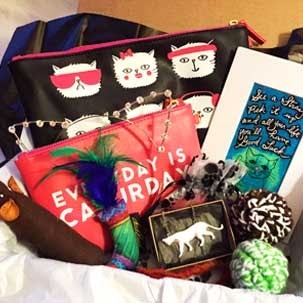 CatLadyBox is a monthly box of the most unique and exclusive cat lady finds. Cat-themed jewelry, clothes, accessories, decor, books and more for you, delivered in a box your cat can keep (of course). It's like getting the most purrfect gift for yourself every single month! I had this idea because I know how much I love cat stuff -- I always look twice when I see something with a cat on it in a store! 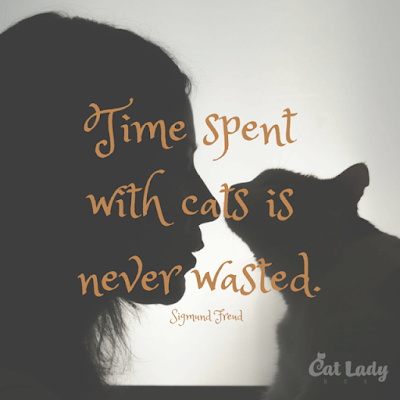 -- and a lot of other cat ladies are the same. We love showing off our cat lady pride, and I wanted to come up with a fun way to grow our collections of cat-loving things. Plus, it's fun to get a package for yourself each month! And best of all, because you all know how important cat rescue is to me, I have decided that we will donate a full 5% of all the revenue to cat rescues and shelters every month. So not only do you get fun cat stuff for you, but you're helping save kitties every month too! Most of the items will always come from local and independent artists, shops and sites because I want to support them -- and also because this way you'll get things that no on else can get in the big stores! I can't wait to start picking out the items for the boxes and shipping them out and seeing what everyone else thinks of everything. I already have so many pawesome things lined up that I want to include in the boxes! I can't even explain how excited I am. I hope you'll check it out! And even if you don't join, I hope you'll help me spread the word by sharing the page and telling your cat-loving friends. Doing something cat-related as a job is a dream for me, and while it's just starting and not my entire job right now, it's so exciting to be able to do something you love. You can PRE-ORDER now and the first boxes will ship in June! 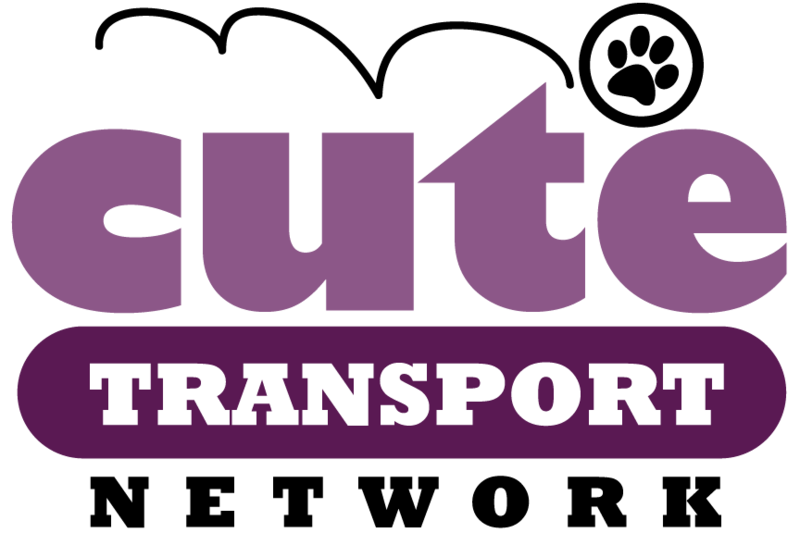 I'm only sending a small number for the initial launch, so I hope a lot of those will be Cuteheads so you can give me some great feedback -- and also because I want you all to get the fun stuff! Please check out the CatLadyBox site here. I think it's a super cute! 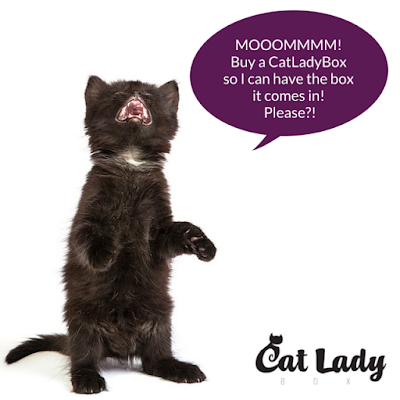 And if you don't mind, please like CatLadyBox on Facebook, follow @CatLadyBox on Twitter and CatLadyBox on Instagram! Thank you, thank you!